Patric McCoy recently retired from a 28-year career as an environmental scientist in the Air and Radiation Division of the U.S. Environmental Protection Agency’s Regional Office in Chicago. 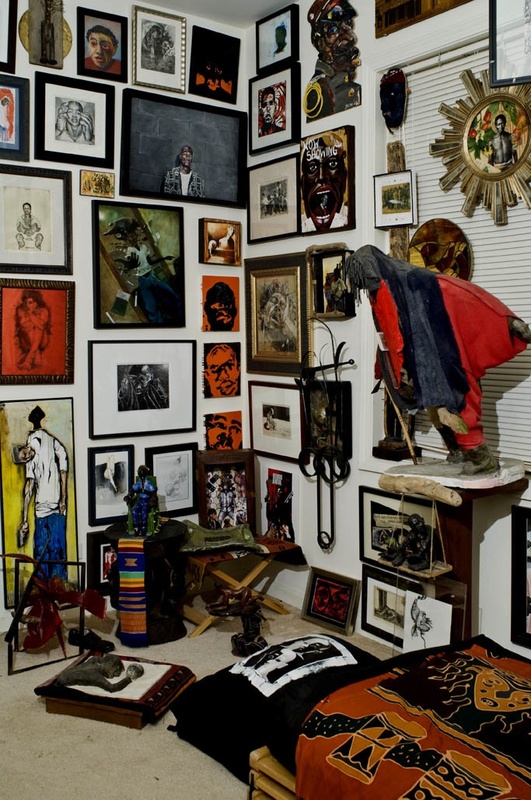 He has been collecting contemporary African American art for 41 years. In 2003 he co-founded Diasporal Rhythms, a not-for-profit 501(c)3 arts organization comprising informed and passionate art collectors from Chicago’s African American communities. 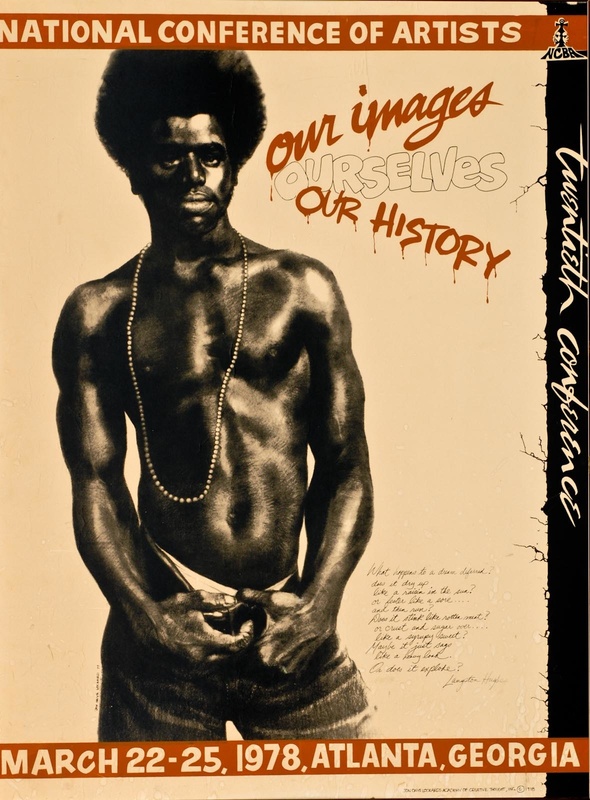 The organization promotes the collection of art works by living artists of African descent. 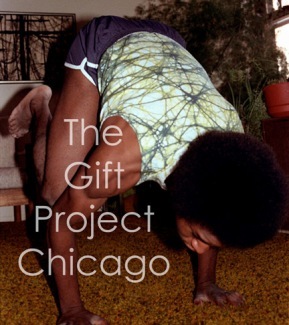 Patric’s striking photographic portrayals of African American men on the streets of Chicago in the 1980s have been the subject of the ongoing “Gift Project” by emerging artist Samantha Hill. Rebecca Zorach: I wanted to start by asking you some questions about yourself and your history as a collector and as a photographer, and then move into Diasporal Rhythms after that. RZ: So, I’m curious about how you became an art collector. RZ: Well, how did you first start acquiring art? PM: I first started acquiring art at the University of Chicago. I was majoring in Chemistry, and my roommate in the second year was Scott Stapleton, and he was an art major. I had always lived in an environment with art. My father painted, he was a frustrated artist, and my mother was very artistic. So we always had art on the walls, and my father created all of the furniture. So when I went to the campus I would put up art posters in the room. Scott was majoring in art, which is what I had really wanted to do. Back in high schoolI wanted to be an artist. And then got shifted into the sciences because I found them to be so fascinating. I always liked being around artists and looking at art. Scott came back to the room one day and told me that he had done a lithograph, and as a scientist I knew “lithos” and “graph,” I could put together that it was “writing with stone,” and I was fascinated by the image. I asked him if he wanted to sell it, and he said yes, and I bought my first piece. That was the first original piece of art. I had had poster art in our dorm room, but that was my first original piece of art. RZ: How much did it cost? PM: About ten bucks. [Laughter] Big spender! But that’s how I started, that was the very first original piece that I acquired, but that reflects the way that I have always lived – have imagery around me, ’cause that’s what I grew up with. From my first perceptions there’s always been realistic and surreal images in my home on the walls. Early in the 1950s my father had painted a family portrait with us in the center of an atomic structure (my Mother still has that painting!) So it was the most natural thing in the world to get a piece to put on the wall. RZ: So after that first lithograph, did you at that point identify as a collector of art? PM: Oh no, no, no. That came much much later. RZ: I mean, is that something that grew gradually, or by fits and starts? RZ: Even artists are a little cynical about art collectors. RZ: So, was there a certain point at which—whether you thought of yourself as a collector or not yet—you were aware that most of the work that you were acquiring was by African-American artists, or by artists of the African Diaspora? PM: Coming up through the 1960’s, I was a child of that era. And so Black Power and the black aesthetic, the Black Arts Movement, all those things were important, but not primary. Definitely not in the sense of it directing me to a look at art in only one way. I can very distinctly remember going to Washington D.C. on one of my business trips early, early in my career and getting a reproduction of a Corot. You know, because I was just totally enamored of his technique. So it wasn’t necessarily that in the visual arts arena, I was only focused on African-American art. It is was definitely a major component of it, because it is what was right around me at a very important period in my life. And moving around the South Side of Chicago I would end up in the art centers and at art shows even though I did not have the same sort of passion for that activity that I have today. I remember going to see the AfriCOBRA shows, but I wasn’t thinking about it like I would think about it today. I’d go to the Museum of Contemporary Art when they were in their original building, I’d go to art shows and never really think of myself as a real art enthusiast—even though I liked it! And the African-American concept was definitely in the air during that time period. Clearly in the museums. Clearly in the literature. But I wasn’t very active in them until after graduating from the University of Chicago. In my last year there I took a course in African civilization, and got exposed to the literature of the African continent, and that was fascinating, and that put me on a trajectory, and I just consumed with that and then with African American literature.. Setting me up with an interest in going physically to the African continent, and getting exposed to the art of the Diaspora. But during that time period I didn’t have any particular drive to collect African Diasporal art. There was no decision in my head that that’s what I was going to do. When I purchased art I just got what was right there in front of me, and was interesting to me. RZ: And was it that it was interesting to you for political reasons? Was it a matter of supporting a particular political message? PM: Well, yes, the pieces that are behind you, the AfriCOBRA pieces I got in 1970—yeah. We were in the height of that movement and the concept of uniting and recognizing African historical perspectives was important. Was it preeminent? Did it direct my whole activity of collecting art? No. But it was something that I could see and say, “oh, I’d like to have that in my house.” And it did create conversations during the time, because people would ask me, “Well, what does that mean? What does ‘uhuru’ mean?” I’d say, well, it’s Swahili for freedom, you know, and then we got to talk about it. But, collecting with some sort of political bent, that was not there. That has come [Laughter], but it’s a different kind of politics now than the politics of the Afro-Arts movement, you know, revolution and all that good stuff. RZ: So, how would you talk about it now, what the sort of social/political component of collecting is? RZ: It’s a cultural politics. RZ: Is there any kind of tension between group and individual in that? PM: I hear it a lot, I hear it a lot. But I don’t believe that it is a real tension I really think that you, as the individual collector, can do whatever you want, and that is perfectly legitimate. We can have issues within Diasporal Rhythms, where people will say “well, I don’t particularly like this artist (that you might like and have in your collection), or that as an organization we might have chosen to honor.” That’s perfectly okay! Or “I only like abstraction, figurative work, or expressionist work, or very conceptual work.” That’s perfectly okay! Yes, there does get to be a kind of perceived tension, that people on the outside think that if you are doing anything in the collective that you all have to like this one artist, no. Individual collectors can do what they want. To me, the individual expression within collective activity is the most exciting thing. You’ve been to some of our meetings, where we go to each other’s homes and view their collections, and that’s fun. To go in and see what somebody else is getting, or what they’re liking, and how they’re displaying it. And yet it is still a group, and I like the fact that we do have differences. But I do hear that tension statement a lot, especially from the outside, people will look at a group and they will think that to be in the group implies a certain uniformity in thought and practice. And I’m, I’m absolutely opposed to it. In fact, I try to make that clear when talking about Diasporal Rhythms: we are an organization of collectors, but each collector is an individual, collecting whatever they want. And that we’ve come together on some common area that we want to promote “the collecting of contemporary works by artists of the African Diaspora,” but that does not mean that our collections are going to be uniform or common. RZ: I want to get back to Diasporal Rhythms in a minute, but I first wanted to ask you about your photography. PM: [Laughter] That is real interesting, ’cause I still haven’t come to grips with that. It, one part of me, wanted to be an artist, early in my life, I used to paint and draw while I was in elementary school and I did see my father and wanted to emulate him in a way, and then I think I sort of rejected it, that aspect of my life when I got into high school. And it was only in about 1980 that a friend of mine, Kenneth Hester, who worked in a camera store, saw that I would take, bring back with a very, very unsophisticated camera very interesting shots. He said, “you really need to get a better camera, and teach yourself photography.” So with a little more insistence he did get me to do that, and I bought a Minolta, single lens reflex, and it was a manual, so it forced you to have to learn about the aperture and the focus and the shutter speed, and the film speed, and all that other stuff. So I started carrying it with me everywhere, and I made commitments to myself ’cause I wasn’t gonna take any photography classes to photograph something everyday. And looking back on that, I see that’s very similar to what an artist would do, make commitments to really do this thing and make it a part of your life, your everyday life. But I was really still thinking of it in just technical terms, that I was going to teach myself photography. The humorously titled "Addis Ababa"
RZ: The camera was the sign. PM: So I stopped and took pictures of them. Since most of the time I had black and white film, and I had a darkroom, I would go home in the evening and develop them. I would carry the developed photos in my bag, and so if I ever ran into the people again I would give them their picture. And I think that spurred even more of the response, “take my picture!” because people would see that they could get a very good photograph of themselves, just by asking for it. One of the things I found kind of surprising, in retrospect, when I started inI took all those pictures in the 80s. and then it went away I didn’t do much in the 90s at all. And even today I don’t take many photographs. The negatives from the 80s were just stored away. But in the mid-part of the first decade of the 21st century Isadore Howard let me use his film scanner, a very high quality Nikon scanner. So I started pulling out all these old negatives and slides, thousands and thousands of them, and I started scanning them into the computer. And after I figured out how simple it was to scan them and have them show up on the computer screen, and it’s almost perfect! You know you can go into Photoshop and in a couple of clicks, you’ve got an absolutely stunning photograph, when I used to just sweat bullets in the darkroom trying to get that quality—wow, this was amazing! So I got caught up in it. Scanning more and more and more until I had several thousand images. Looking at them on the computer I realized in retrospect that I had this overwhelming number of men that had asked me to take their picture, and then I thought, you know what, women rarely did ask me. Very, very few. And I thought what is in the culture that makes a Black a man want to be photographed, right out in the street, just, like I said, a three-body interaction; they just happened to see somebody with a camera and say, “I wanna be photographed.” Whereas women, no, not so much. [Laughter] I’m still kind of mulling it over in my head, what is the difference there? I kept coming up with the “peacock” kind of concept, that even though our society tends to suggest that the females are the most interested in appearance, what I saw was just the opposite, I think the men are just or more so as interested in their appearance and not so much of a perfect appearance, but of their appearance, that they have a much stronger need to be the peacock, and to show themselves. You know what I’m saying? RZ: Yeah, I think in a public setting, also, women might be a little more wary about that kind of attention, so that it wouldn’t immediately come to mind, because women so often are judged on their appearance or are subjected to unwanted attention. PM: Yeah and from what I remember, the few women that did ask me, they did a lot more direction as the subject, in saying, “be sure to get my shoes, my hat, my dress,” my this or that, and so forth. And it was usually about the material, as opposed to what I see in the photographs of the men, they wanted me to capture something about them. RZ: Is there a class issue, also, do you think? Or were they men of all different classes? RZ: ’Cause I wondered if it was something about a photograph being special to people if they didn’t have their own camera. PM: I think that was one of the components. Most people had those little small cameras, the 110s, and most people just did not have very good photographs of themselves. And then there’s another thing, the films in America up until that time were really designed for lighter to white skin. And so, darker-skinned people tended to not photograph well. So, I believe that there was a need, a hunger, for good imagery of self. And there was also a new situation in the society too, because you know the Reagan years were a period of recession, and black people were hit pretty hard. One of the subject matter themes of my photographs was “homelessness”, or young black people out in the street. And that was, for black people, really a unique and new phenomenon. The previous time that something similar occurred was during the Depression, and black people were not described as homeless, they were mostly men and they were called hobos. indigents, and so forth. This was a different thing. In the 1980s there was this concept that popped into the society, of people that were homeless, and there was a lot of young black men that were living on the streets in the central part of the cities, and there were lot of homeless camps in downtown Chicago. Riding my bike I passed through those places all the time, so a lot of those people saw me and they would be asking me, “oh, take my picture.” So, I captured a lot of that. PM: No, no. Absolutely not. I laugh about it now because I see 20 years, 30 years later, I did do that, but that was not what I was doing, I did not set out to do that. I think when you’re in the midst of the thing, you never really have a true sense that it’s gonna change. That you have to record something because it’s gonna change. You’re thinking south State Street or whatever’s always gonna look run down, and then all of a sudden you look back at these photographs and you think, wow, it really has changed. It really has changed. I’m very impressed with that one woman, Vivian Maier. They just discovered her photographs. Just blown away that I was doing basically the same thing she was doing 20 years before me! Just walking around with a camera, in the city of Chicago, and photographing. And I started moving around as a young man in Chicago, right near the tail end of her photographic activity, so I remember some of the imagery and the street scenes that she has in her photographs. She really got it, she really caught how things were, at that time. I was very impressed with her work. I want to see more of her work. RZ: Do you think that there’s anything in common between the impulse to collect art and the impulse to take photographs? PM: Oh, yeah, I do! RZ: That you’re collecting images, or collecting people? RZ: So why don’t you have a camera today? PM: No, that came later. It was the crack epidemic that hit Chicago in the early ’90s, when they started putting the kingpins of the gangs in Chicago in federal prison. And that whole gang structure broke down and then crack came into Chicago. And that made the street scene become much more chaotic. Surprising…then again, these are things that you never think about, when you’re living it. ’Cause I hated the gangs, because I grew up with them terrorizing my neighborhood, but I now see out of all that horror that they did that there was a component—they kept crack out of Chicago in order to maintain their control over the marijuana and heroin sales. They had a much more hierarchical business structure and they kept crack out of Chicago for ten years when the other cities were just going berserk. 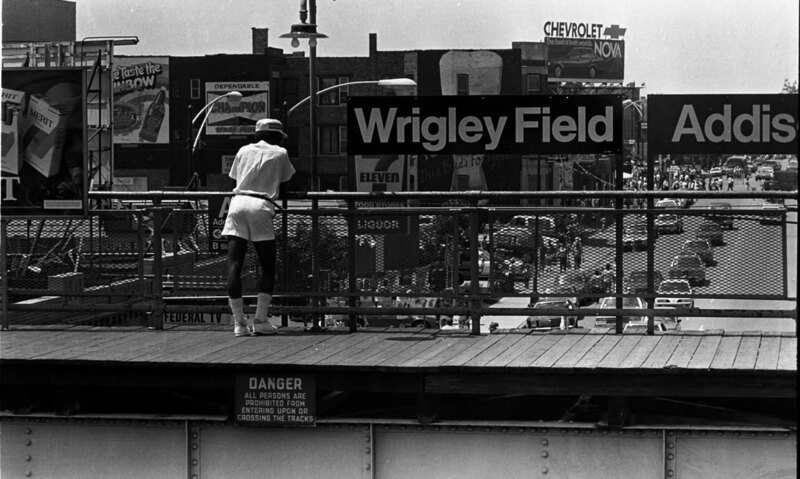 And so I was in this sweet spot in Chicago, running around town on a bicycle with a camera during the ’80s. Once the crack epidemic hit, anything that could be turned into 5 dollars, was snatched away from you. So I went through so many cameras during the early ’90s, , yet I carried one camera all through the ’80s. And it got to every time I turned around, my car would be broken into, the house would be broken into, I was stuck up—like, oh, I am sick of this. So I just stopped. I just stopped carrying it around, and then after you stop using it, then the whole photographic interest kind of just dissipated. I had the desire, I see things today that I would love to photograph, but I just have no interest. I do a have the camera back there in the bedroom and I just never take it out anymore. Even when I go to events that I should be photographing, I get there and I’m thinking, “oh god, we should record this!” And everybody knew Patric McCoy, back in the ’80s, everywhere I went I had a camera around my neck. So it was just a different world. Different world. RZ: Back to Diasporal Rhythms again—you’ve talked about the beginnings of it at the panel discussion at the South Side Community Arts Center, and I’m curious about what, subjectively, you were thinking around that time, before the organization started. What was the need it was created to serve, when it first started? PM: Well, it was socializing a lot with artists and all of them were basically telling the same story, about how they were not being respected, they’re not being appreciated, their work’s not selling, and so forth. And the work I’m seeing is very good. And large numbers of artists are constantly commenting when they come to my home about how great this was and “I’m so glad you’re doing this” and “come to my show.” So, I’m seeing that artists are doing some phenomenal things and yet they feel as though they’re not being recognized. And this is in the latter part of the ’90s, when there were a lot more opportunities, art shows and galleries, and so forth. But, everybody’s really complaining about the situation. And so once we (the subsequent founders of Diasporal Rhythms) met on that panel, I just saw that the voice, the agency to correct that, was really in the “collector”, and that it really wasn’t the artists’ charge to bring about the change. The artists were doing everything that they could possibly do and they still weren’t making headway. And that made me start to see that it really required two components to make the visual arts culture of a people. The creative component, and then there’s the collecting component, that are necessary to actually push the visual arts aspect of the culture forward. And what we have just seen in the past is the artists and we start castigating them, saying that they’re crazy, they’re gonna starve, and this and that and so forth. And we diminish them, and in that process we forget that there’s always been this other component—those out there that have been grabbing these things the artist create and acquiring them and preserving them, and then these “collectors” seem to be reaping phenomenal rewards for that activity. And we (in the culture) don’t think of ourselves as being over “there,” we never could attain this status as “collectors.” And yet we interact with these artists and these creative people, and we hear them saying they’re having this manifesto to do this and that, and then nothing comes of it! [Laughter] It’s like, oh, wait a minute, we need to combine these two forces together. So that was where I was, in the moment, and I’ve gotta tell you, when we did get the concept, I thought we were groundbreaking—the first people that ever thought of this. Close, but not quite. Not a completely original idea. RZ: And now the organization’s been around for how long? PM: 2003 is when we formally organized Diasporal Rhythms, we met in 2002, so our ten year meeting anniversary is next year, and then the organization’s ten-year anniversary is 2013. We’re looking to do something in both years. 10 years, and it’s been very interesting, very interesting. I’ve learned a lot, learned a lot about organization, learned a lot about collecting, and its importance. And like I said, I’ve been thinking more and more about why we have these problems, why people want to dismiss being identified as collectors, why we dismiss the importance of artists and why does society tend to perpetuate those positions? And I’m coming to a point where I’m recognizing that there is an inherent and an extreme power in the visual image. And that it is that power thatis so important for the culture and for those people that are in the society that historically have utilized the visual image, to support their power and do not want to relinquish that power. They want to use it constantly to enhance their positions and so forth. We have gone through the last couple of centuries where artists have finally broken free from being “totally and absolutely” controlled by powerful people as a tool for sustaining their empowerment, to now, where it is partially a mode of expression, that almost anybody can have some aspect of it. People can use it to express themselves, even though they might not be the actual hand that creates it—you can have a home, a school, a church or whatever, that expresses how you feel about the world. Your culture. I keep looking at the situation and say if now that we’ve reached a point in human history that this power of the visual image can be in the hands of almost anybody, why don’t we grab it? And I keep running into these misconceptions and myths and so forth, and I’m saying these myths are out there, and being perpetuated because the people that really do have power don’t want you to have it or to share it! They really want to maintain it by dissuading the folk from being involved through promotion of false perceptions of knowledge and economic exclusion criteria. I think about how the visual image through the Madison Avenues of the world are such huge ventures, billions and billions of dollars are used to commercialize images to sell products or to sell concepts, and so forth. They spend lots of money on them. That just tells you just how important the visual image ison the planet. And yet, most people believe that a career in the art of visual imagery is a career that will lead to your starvation. [Laughter] You know what I’m saying? These people pay money, big money for making sure that image is right on point. And this to me is very similar to when I read Muller, Freedom in the Ancient World, and he was talking about how art has been under control for millennia, and he uses the example of Egyptian art, which everybody knows, you can see it and identify it instantly, you know that’s ancient Egyptian art. But then when you really put the numbers to it, it’s amazing, here’s an art form that stayed essentially stagnant for thousands of years. I’m looking at some of the artists that I’m dealing with, their art practice changes all the time! And I’m thinking, how do you control artists for thousands of years such that the work is so uniform, that you can’t tell without being an expert from the third dynasty to the 18th dynasty, it’s just, it’s almost the same work. It doesn’t change that much, and I’m thinking, that has to be almost how Madison Ave controls commercial art. RZ: Okay, so, I want to push you on something. RZ: Because, the images that Madison Avenue controls are made public—I mean, not in the sense that people own them, but that they’re visible out in public, or accessible to a lot of people through the media. But when you’re talking about art collectors—when I look at your house and I see all these amazing works of art, obviously this is a passion and an obsession, and it’s a very personal thing. I think a lot of people, when they think about art collectors, imagine people collecting art to put in their homes to express their status. PM: I’m even going to question “supporting the artist” but we’ll come back to that. RZ: Well, just financially, handing over a certain amount of money to an artist, that’s helping them in some way, right? But, my question is how does collecting art affect the broader visual culture? That is, how could it serve to “fight the power”? PM: That’s exactly how I see it, I see it as an antidote. RZ: Yeah, but if its not out in public, how is it doing that? We need to be public with it. That’s why I believe that we should have it in our homes, so that whenever anybody comes to your home, they see your expression of what you believe. It should be in the schools, so the community’s concept of what is important should be seen by children as they are growing up, and being educated. It should be in your houses of faith, it should be there to express how you believe the things that are important, in your institutions it should be there to say, “this is what we think.” And yes, there will be differences, in one place to another, from one home to another, from one school to another: that’s okay. But it should be out of the concept of the private—that the most important pieces of art are in these private things that you will never get to see until this person croaks [Laughter] and puts it in a museum, and then even in the museum, only 10% of it is seen. We need to think of it in sort of a public way. And with Diasporal Rhythms, that’s a component of what we do. We want people to see what we have. Now we don’t want people to come in and rip us off, but we want people to see what we have. We want that to be a much more public concept. And I think that we’ve reached a point in human history where we can have these things. And we are relinquishing our ability to have them, for some crazy reasons. RZ: So what do you mean by that, relinquishing? PM: Is that, we believe, number one, that we’re not art collectors, yet we collect other aspects of the culture with no problem. Like I said, most people are avid collectors of music, avid critics of music, I mean, they go beyond just collecting, they can critique it. So we know they have the mental ability to take a cultural art form and start to talk about it. But when you say art, visual art, most people go right to “I don’t know anything about it.” Wait a minute, you’re looking right at it. So how can you say you don’t know anything, you can see it. Literature, poetry, people collect those things, fashion. They collect it. They go to the theater they go to plays, they go to dance, and so forth. They don’t have a problem. But for some reason they have a problem with the visual arts. They also have this problem with cost. They think of it as being out of their range, without asking. And we are in a society where there’s wealth enough that allows you to buy things that are beyond just food and clothing and shelter. And art is one of the things that they could buy. The amounts of money people are known to spend, in other areas of the culture, dwarf what they spend on visual arts, but at the same time, if you ask them what is the cost of the visual arts, they think the cost dwarfs what they spend on these other aspects of the culture. And when you are familiar with the visual arts community and the costs, you realize, they don’t have a clue, they’ve never even taken the time to ask, “how much does this really cost?” because it is well within the range of what you spend already on other cultural components, and don’t have any problem with it. You’ll drop a thousand dollars on the latest electronic gizmo, to play your music, but you think 300 or 400 dollars on a visual art piece is too much money. So I have a little paranoia, I believe that this myth that art is too expensive is actually perpetrated! And it’s just one of the things that we, in our organization, are trying to dispel. One, by bringing people in our homes to show them, …. ’cause if the art was too expensive, then I had to be a multimillionaire to have this. And I’ve never ever been able to balance my checkbook, so I doubt that I have ever had that kind of money! RZ: So, what would you say is the importance of the visual arts for people? I mean, if you’re Diasporal Rhythms trying to convince people that they should be interested, or they should support the visual arts, like, what are the philosophical foundations of that? Obviously there’s enjoyment, but what’s its importance, do you think? PM: We get so much information from our visual sense. It structures how we see and think about so many things. And within the visual arts, you have this long history of creative people learning how to present things that have layers and layers and layers of meaning, visually, and that people need to have that experience. They need to have that experience of looking at creative work and thinking critically—“what am I seeing, and how has this person put this together to say things?”—just as you can hear a musical piece and it evokes all kinds of emotions and feelings and so forth, and yet the person didn’t sit there and tell you what they wanted you to feel. And visual art does the same thing, and it has the ability to layer so many things in there that you can come back years later and see something you didn’t see before. And you can see things that the artist, the creative person, didn’t even know that they were putting in there! It’s that, we have a tool for stretching our minds out. And we should have it around us all the time, to keep us from becoming stagnant. So, to me, when you ask the question about philosophy, to me it’s just, it’s very central. It’s essential in how we think, because we look at things first. Unless you’re blind, you look at things first. And so you’re going to formulate your view about it from what you see and with the visual arts, we’re constantly training people how to see. Just as I was saying about when my photographic experience; carrying the camera with the commitment to take a photograph every day forced me to see things that were right in front of me that I had previously ignored. And I think the visual arts are just the same, the visual arts force you to think about things. RZ: And does it maybe help to decipher the agendas behind the Madison Avenue images? PM: Yeah. I never thought about it like that before, but now I see—oh, if they’re spending that much money, it’s got to be very, very important. They don’t spend money on things that aren’t important. If more money goes into the commercial, than the program, that visual image is important, it’s very important, and they know they can drop a lot of things into your head in that 30 seconds. And with art you have something that can sit in your home, forever, while you’re alive, and it each time you look at it, you can get something else. That’s important, because sometimes you’re not ready for the message until some other experience has happened. And then all of a sudden you look at it and think, oh wow, I never thought about that. So it’s a lot. RZ: So, I think I just had one more question for you. This series of interviews is about transformative experiences in art. So I was wondering if you could think of any example from either the work of Diasporal Rhythms, or maybe it’s a piece in your own collection, where you think of either yourself as having been transformed, or something that transforms society? PM: Too many to list right now, but I remember going to a show, at, Fourth Presbyterian, on North Michigan, right across from the Water Tower and the Hancock Building. I can’t remember the name of the show, but Joyce Owens was showing there, and she was doing her Survivor Series, and I got there very early, and I saw those pieces that she had done on barrel staves. She had found a barrel in the alley, on the Near North Side, she took it home and disassembled it, and she painted on each of the staves in the barrel an image from photographs that had been taken during the 1930s, when as part of the WPA historians and anthropologists went into the South and recorded and photo-documented the last living slaves. So Joyce painted on those barrel staves, and she called it the Survivor Series. I was deeply moved. Still am, because the images were people that were very proud and erect, and showed a lot of strength. I’ve got four of them in the back room. For those images to be made from photographs taken in the thirties those ex-slaves had to be 80, 90, and a hundred years old at the time of the photographs. And I’m seeing them standing perfectly erect. And she told me a story that was in the narratives about how the people had been told that they would be photographed. And so they put on their Sunday best, but they didn’t tell them what time they were going to come. So they stood up until they got there—so that their clothes wouldn’t wrinkle—so that they would look their best. A lot of these people, they looked like they were still working the land, they were still doing labor at that advanced age. It was a lot that went through my head. I had a moment there, when I was in the gallery space by myself and I was just like, what is happening. And then I thought about the barrel, the barrel is a very very strong structure, when it’s put together, when the cooper puts it together. And I thought okay, it’s another whole level that I should be looking at this. Art is transformative, it is. It can make you think about really grand things in life. And that’s just one. There are other pieces in here that have touched me in the same way, you know. I’m fascinated by it all the time, that something that can appear to be so simple can be imbued with so much information. Songs are that way. And we relate to that, the images that I have above here, of the soul singers, I think about the songs that these artists produced back in the 60s and how they transformed us—we were “Negroes” back then, and then we became Black, and African-Americans: those songs transformed us. Art is transformative, and all peoples should be holding up their art, and I don’t have a problem pushing mine, ’cause people say, “well, are you being limited, are you limiting your scope of things.” No, I go everywhere, I look at everything, but in this activity that I’m involved in, of pushing the collecting and appreciation of the visual art of what I consider to be my people, I don’t have any problem with that, I think that’s what everybody should be doing. And it isn’t that I encourage those who do it to only look at what I find is fascinating to go and see somebody else’s, what they think is important. And it isn’t about a power dynamics that mine has to be over everyone else’s. No. It’s just that you put it out there and they bump up against each other, they influence each other, and so forth. But that’s what you have to do. Otherwise, you’re not really here. I think the art is a real statement of who you are and who you were and that you did make a mark, in your existence as a people, because if you don’t promote your art, the future will not have anything to recognize that you were even here. To me it’s not a coincidence that archeology is basically based on the art of the people that they find remnants of. It’s about the art. The art tells all about that the people, who they were and what they were doing and how they thought about things and so forth. I don’t think that that’s a coincidence, and that taking the lessons from that the present generations have to be promoting their art. RZ: So, I have one follow-up question about that. I mean, what can art do in a situation where, okay, you’re promoting your art, your community’s art, but the dominant culture is so powerful that it’s drowning out all other voices, or all other images? RZ: So it is a struggle, it is a fight? PM: It is definitely a struggle. RZ: It’s not just a matter of appropriate representation. PM: I think when we talk about our society, and we say it’s a pluralistic society, then yes, you should be able to push yours and put it into the mix and everything like that. In any society there are going to be some alternative voices, and then there’s going to be some sort of totalitarian, dictatorial voices. And they are going to be trying to wipe out every other thing that’s different. And you have an obligation to try to push yours, because otherwise you will not exist, you will be eliminated. Extinction is forever. So, you have an obligation to push it. ’Cause I don’t believe that people want to become extinct, whatever the ‘we’ is. And it’s sad when you do read about whole sets of people and they just, they just no longer exist anymore. We might have some artifacts and so forth, but they’re not here in the present with us. Art is one of the tools. To me it’s an important tool, and other people can argue for other things, but I think it’s a very important tool and it’s minimized, and I think a part of the concept of it being minimized is because they recognize just how powerful it really is. ’Cause if I can get you to not think about your art, then I can control you with mine. I was at the MCA, the other day, and I see a lot of the work—in broad-brush—I see a lot of the work as dark. Just, not looking at any particular things, it’s not uplifting, and so forth. It’s almost fatalistic in a way, and I don’t like to look at that kind of stuff. I understand the concepts but I would like to see a range of things, like, I have a room in the back where I have, as a theme, a one section of the room is about problems of Black men. But I have on the other side of the room solutions. Because I can’t just be focused on the negative side of things. They both exist. I’m not Pollyannaish, I don’t believe it’s only good, no. But I can’t dwell on just the bad or the good. That can’t be all of it. And that’s what I’m seeing in, when I’m moving in the contemporary art world of America, I see so much stuff that just seems to say no hope, it’s useless, there’s no meaning, and so forth. It kind of bothers me, because that’s usually held up as the highest. And I just think it’s much more varied than that. When you have a society that is made up of multiple cultures, then the culture, the pluralistic culture should be like a really rich stew, you know. There has to be a lot of different things going into it, that if you want you can go over here and see this, go over there and see that, and so forth. And that all of that is given some recognition and consideration. This is who we are, we’re a mix of a lot of different things. I’m hoping that Diasporal Rhythms and people that think like that are always going to be a component of the mix of what America is. That’s how I see it.